Gold is a popular precious metal available for buying and selling. The value of gold is monitored close like on an around the clock system. Some very important issues that will impact the trading price of gold often include war or conflicts, major political crises, economic downfall or instability and the rate of inflation.Unload Your Gold is ready to pay you a fair market value for your gold jewelry and other gold items. Silver is another metal used in jewelry making. Some interesting applications that silver is used for include coinage, modern electronics and certain medical products. The silver market values tend to vary widely especially when it is compared to gold. 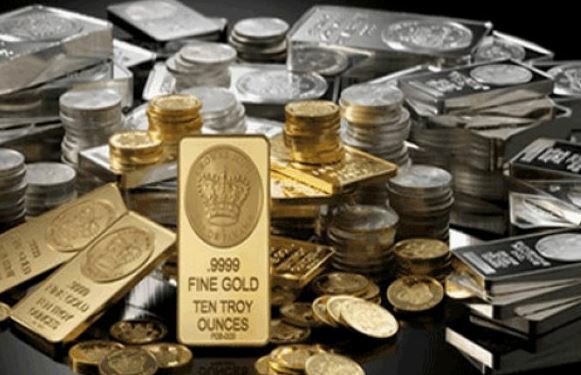 Unload Your Gold is ready to accept your silver and pay you a good price.Platinum yields a higher market value than gold under certain circumstances like in the times of political stability. Unload Your Gold accepts any precious metal you have to sell.Some other precious metals on the market are palladium, rhodium, iridium, osmium and ruthenium.Unload Your Gold can pay you in cash in person only. We can mail you a check or send you an e-check. We can direct deposit the money to your bank account or prepaid card. Unload Your Gold is the best place to buy precious metals. We are very pleased to be a precious metal buyer and to take in precious metals from a wide variety of businesses that include jewelers of all sizes, pawnbrokers, precious metal scrap, industrial applications sand individuals. Justdrop off your precious metal scrap in person at our facility and we will have your lot processed the very same or soon the next day. Our friendly and professional staff will work really close with you during the refining process and to help assist you with metal needs that you have. For our loyal customers who are not located in our area, we make it really easy for you to ship and sell all of your precious metals by mail to us with a low discounted shipping rate. Webuy precious metals online too. Just fill out the short contact form to get started or to ask questions. Our gold buying and selling services are completely guaranteed. We promise not to share your personal information with other companies. You may give us a call if you prefer to speak to one of our gold buyers. We can deliver you great advice and tips for buying and selling precious metals. If you have been searching for a trusted gold buyer who will pay well, then you have certainly come to the right Place. Get extra cash now for selling your used gold, diamonds, silver, platinum and more.